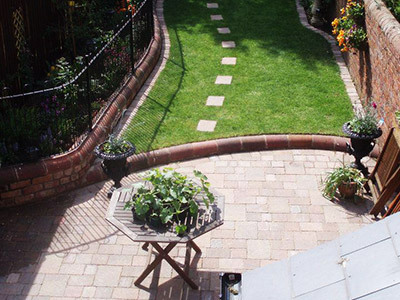 If you’re looking for an experienced garden designer and landscaper in the Bromsgrove area – Landscapia can help. Our landscaping team have a wealth of knowledge and expertise, we design bespoke gardens that are tailor made to meet your requirements. We believe quality and customer service are essential and that’s why we have so many happy customers and an impressive landscaping portfolio. Landscapia are fully insured and all our work is fully guaranteed for 12 months giving you that extra peace of mind. Lanscapia are local landscapers covering Bromsgrove and the local Worcestershire area. We offer free quotations and consultations and we can make an appointment at a time and day that suits you. Marc our garden designer will visit you at your home and discuss your ideas and provide you with advice. 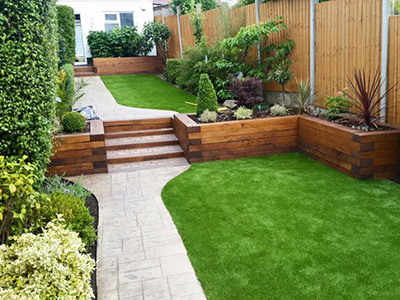 We have years of landscaping experience and we’re confident you’ll be delighted with your garden when your project is complete. Click here to view some examples of our completed landscaping work. We offer a complete bespoke tailor made garden design service. 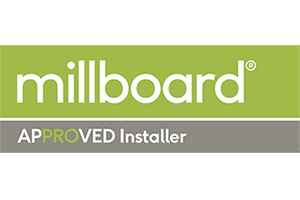 Once we’ve reviewed and measured your existing garden, you will receive a full specification and plan of the new garden design based on your requirements and ideas. Should you choose to proceed and we’ve made any changes you require to the design, we will arrange a date for work to commence and you will receive a Landscapia service contract to confirm the price and agreed works along with our insurance documents. We will contact you before we start your project and will keep you updated of any changes. Once work begins our team will remain with you until the job is completed. We want to make sure everything is perfect. 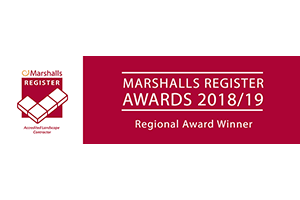 All work will be quality checked by our Project Manager Leigh who will sign off the work once we are both happy and provide you with our 12 month guarantee . We will also leave you with our aftercare guide to help you keep your garden looking great. We also ask you to complete a customer feedback form, because we really care about our customers and want you to be completely satisfied. Please read some of our customer testimonials and reviews. Is your garden in need of a makeover? 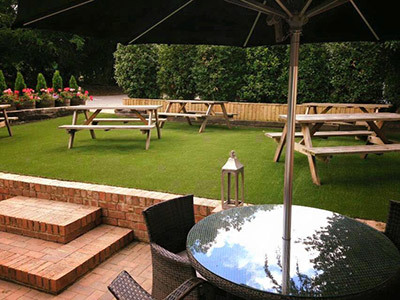 Whether you need a new patio, artificial grass installed or a complete garden re-design we can help. 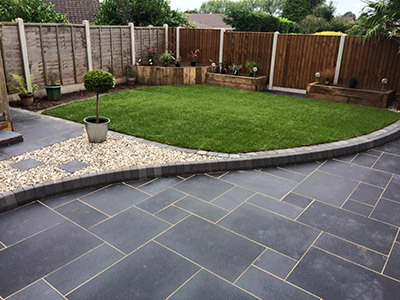 Landscapia offer professional landscaping services to customers across Birmingham, Bromsgrove, Dudley, Hagley, Harborne, Kidderminster, Kingswinford, Northfield, Quinton, Rowley Regis and Stourbridge.